Some things in life are synonymous; tea and biscuits, Ant and Dec and January and black football boot colourways. 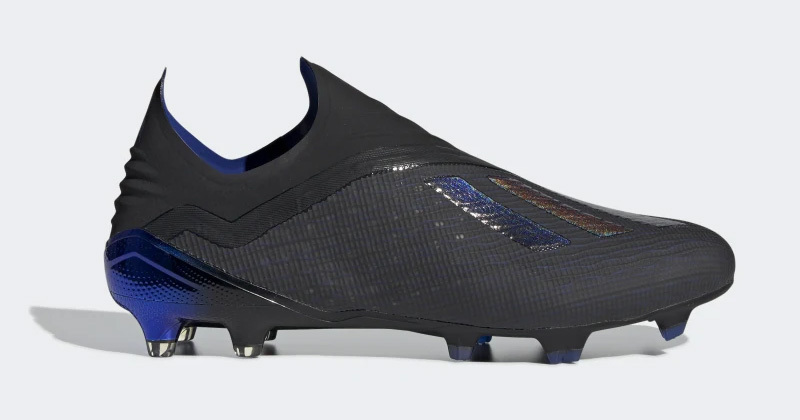 It doesn’t exactly roll off the tongue, but boot manufacturers seem to feel the January blues too, as it is prime season for boot design inspired by the darkness. 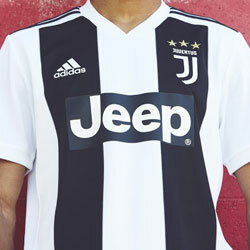 We looked recently at Nike’s new Black Lux collection; well, where there’s Nike, there’s also adidas, either hot on their tails or edging out in front. 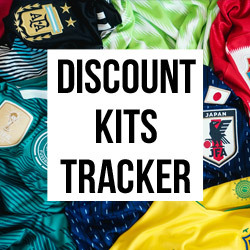 Embracing the January theme of New Year black colourways, adidas have given all their big four silos a makeover; with the Copa, Predator, X and Nemeziz all undergoing a transformation for 2019. 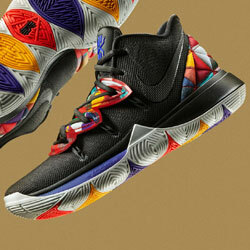 The Archetic Pack hasn’t gone for the complete black colourway, though. 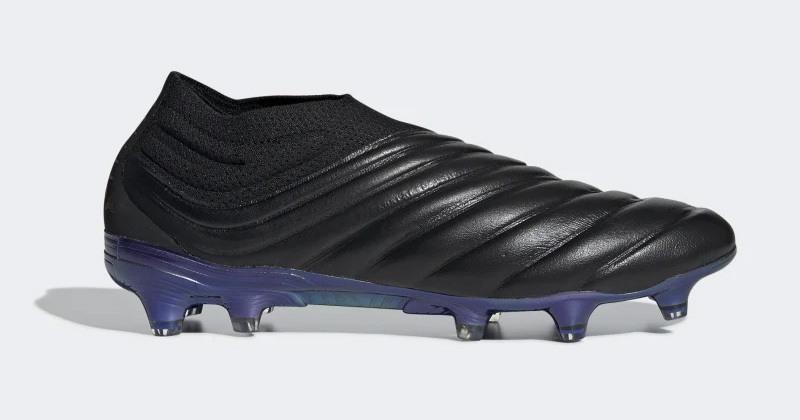 Although the new Copa silo has been given the privilege of the all-black design, the rest of the gang have been set apart by some subtle colour inclusions which, we have to be honest, look epic! We were first introduced last year to the new Copa in a bright red and white colourway, so it makes sense that adidas have gone in the complete opposite direction for the new pack. The new Copa design is a complete black colourway which adds a whole new element to the laceless technology. Upon release last year, some loved it, some hated it; which was always to be expected with such an unusual change to tradition. Some thought the new design was sleek and elegant whilst some thought the ribbed outer took a lot away from their touch and control and the fact they looked like the “Michelin man’s feet” – their words, not ours! The new design keeps the authentic leather look and adidas have kept things simple with just a touch of effervescent colouring along the sole plate. 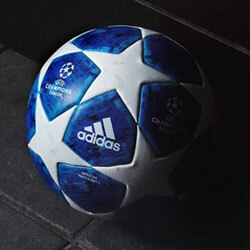 We make that two great designs from two for the Copa so far. 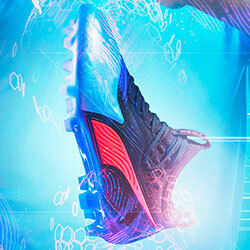 The rest of the release uses a subtle yet effective use of arctic colours to accentuate the boots. The X 18 has taken up an iridescent blue effect which is meshed throughout the heel and upper, which, when caught under the floodlights, flickers like the scales of some ancient fish. The blue colouring is also included within the chrome effect soleplate and the patented three stripes. adidas are really starting to pioneer the colour weave technique as we can see it at use again in the new Nemeziz. This time, it’s a triple-toned red to black to blue colour scheme that really uses the colour weave to devastating effect. The knitted sock upper in red and black looks like it’s made from material that Spiderman should be using in his suit. The middle is kept looking traditional with a complete matte black look, with the finished blue heel adding a little extra flourish. I tend to wax lyrical about most Predator designs purely because I just love the boot so much – and this one is no different. 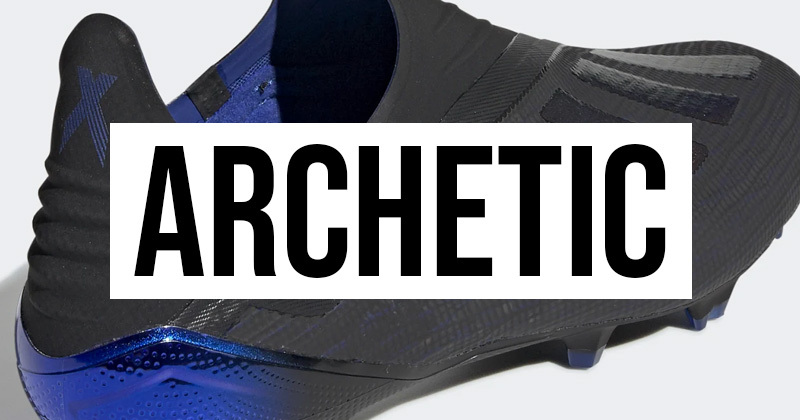 The Archetic pack has gifted the Predators with the “Active Red” highlights which stand out really well on the Controlskin upper and the soleplate, as well as the slight flickers of red we can make out in the three stripes. 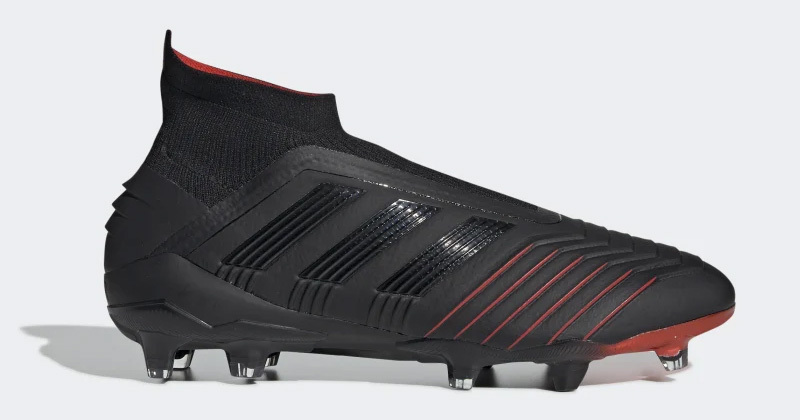 Even though we can find red used across the new Predators, they look like a traditional black boot from afar which should suit every boot fan for the start of the year. 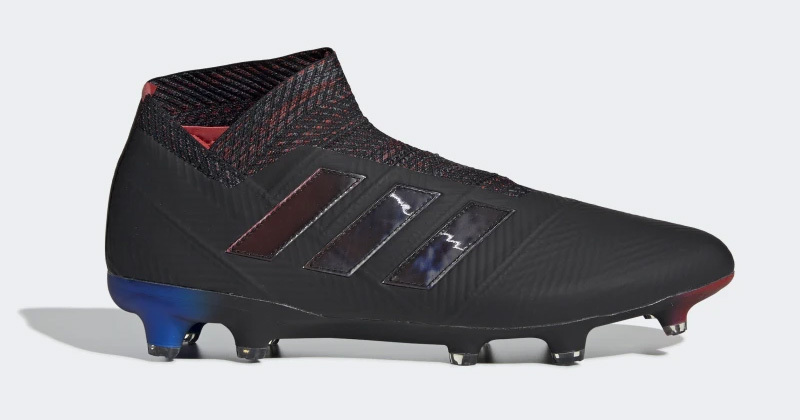 We expect these new cleats from adidas are going to get some real attention and expect to see them everywhere in the early part of 2019. Black colourways are always a big hit, but the inclusion by adidas of the incandescent colour features is a really unique styling option and honestly, we can’t get enough of these football boots.